Individual Prerequisites -High school diploma or equivalent; except that this requirement shall not apply to supervisors that were accredited in North Carolina on November 1, 1989, and kept that accreditation current; AND -At least 3 months asbestos related experience, as, or under the direct supervision of an accredited supervisor or equivalent experience. Reciprocity North Carolina will accept Asbestos training from any NC or EPA-approved training provider, even if out-of-state. The class was very informative and Tammy actually made learning about asbestos fun! I enjoyed the class a lot. The class was very informative and Tammy actually made learning about asbestos fun! I enjoyed the class a lot. Very professional instructor. Knew the material and presented the lessons in a professional manner. Very professional instructor. Knew the material and presented the lessons in a professional manner. I found the class to be every educational. She helped me understand the practices and regulation of the asbestos industry. I found the class to be every educational. She helped me understand the practices and regulation of the asbestos industry. Instuctor was very knowledgeable and nice only made 2 days . Instuctor was very knowledgeable and nice only made 2 days . Instructor was excellent...very knowledgeable and good communicator. I would suggest AAA find another facility in Charlotte... Instructor was excellent...very knowledgeable and good communicator. I would suggest AAA find another facility in Charlotte to hold the class. The hotel long ago saw its better days. The instructors were both very good at answering any questions that any of us students had during the course, and kept the... The instructors were both very good at answering any questions that any of us students had during the course, and kept the class focused and interactive. I have taken away a great amount of knowledge from this class, but wished there was more hands on training available. Other than that, I would suggest this class to anyone interested in working in the field of asbestos, or just looking to learn about it. 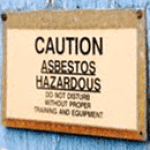 Going into this class, I had no idea what to expect having absolutely no background in asbestos, but what was taught, was... Going into this class, I had no idea what to expect having absolutely no background in asbestos, but what was taught, was taught in a great learning environment with great teaching staff. Hands on training, instructional videos, and class workshops with real world problems to solve taught me all I needed to know about asbestos abatement and the regulations. Tammy was quite knowledgable on this course material. She used slides, video and handson demonstrations to make the material... Tammy was quite knowledgable on this course material. She used slides, video and handson demonstrations to make the material relevant. Since 1989, AAA Environmental - CASE Institute has offered training and professional accreditation courses at their principal training center in South Carolina, North Carolina, and Georgia. 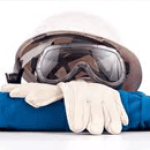 These courses include training in asbestos, lead, and OSHA Compliance, with the asbestos and lead courses being fully approved by the Environmental Protection Agency. 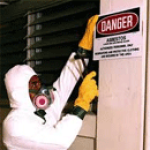 The employees of AAA are accredited in multiple states in a wide-range of asbestos, lead, indoor environmental quality, and environmental consulting services.